Photos provided by Barb Heiss, Kevin Slick, Jim & Marian Clatterbaugh, Pat Gonzalaz, Robert Taylor, Karl Spisak, Larry Ruggiero, Jerry Armellino and Susan Gordon. 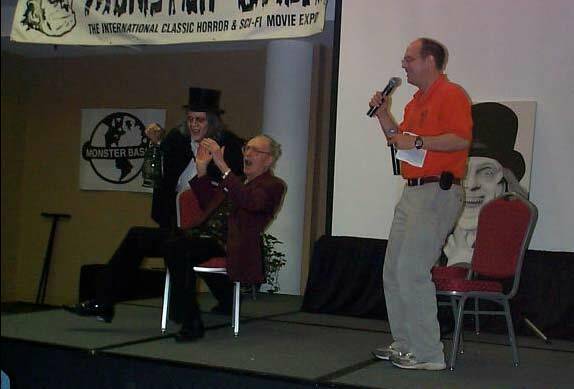 Forrest J Ackerman is surprised by the vampire from LONDON AFTER MIDNIGHT during his discussion on the film! 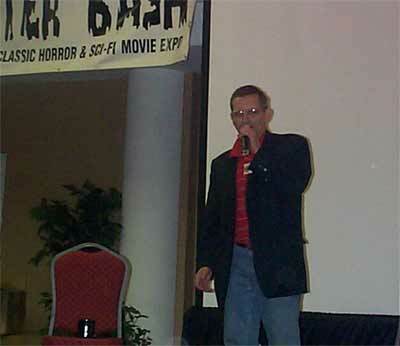 The Vampire is Kevin Slick made-up by Master Monster Bash Creator Ron Chamberlain. The staff on stage Saturday night, preparing to pelt the audience with free stuff. This time it was hundreds of frisbees, rubber spiders, posters, tee shirts and more. 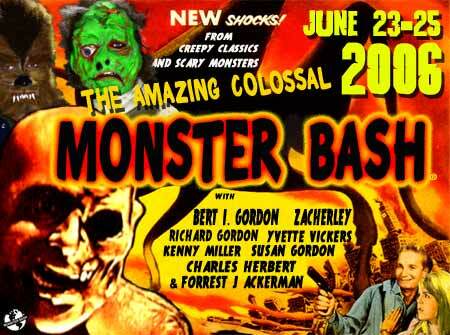 Giveaways provided by Scary Monsters Magazine and Creepy Classics. 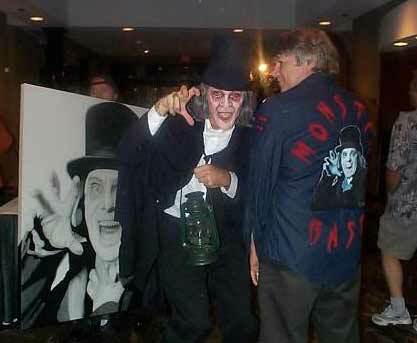 The LONDON AFTER MIDNIGHT vampire (Kevin Slick) and attendee Karl Spisak with a home made Monster Bash shirt. Steve Marcum holds his painting on the left. How many LONDON AFTER MIDNIGHT vampires do you see? The Rock rocks the Bash. The intense renegade movie-maker introduces (kind of) ATTACK OF THE 50 FOOT WOMAN. Note the cup of coffee on the chair. 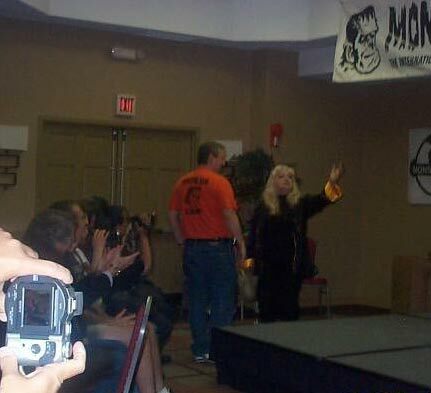 Actress Yvette Vickers gets a roaring applause as she bids farwell after Question & Answer session. 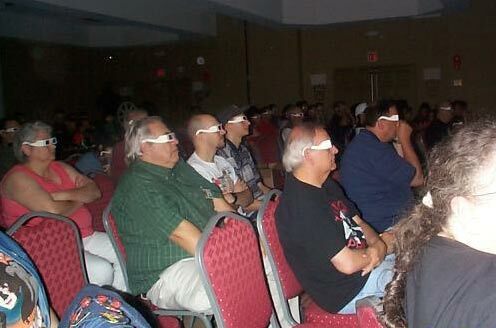 3-D Viewing at Monster Bash! 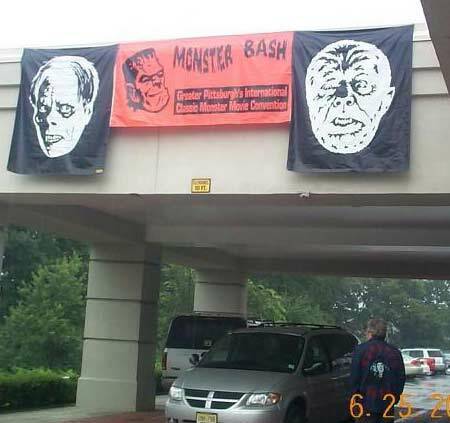 Pulling up to the Monster Bash site for Bash 2006. 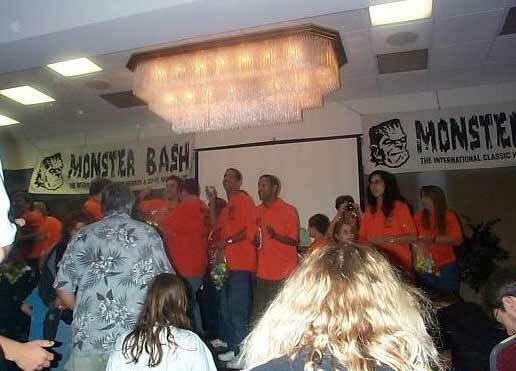 The gang in the lobby at Monster Bash. Thanks to Susan and Jerry! Ursula and Susan Gordon at the registration area for Monster Bash 2006. 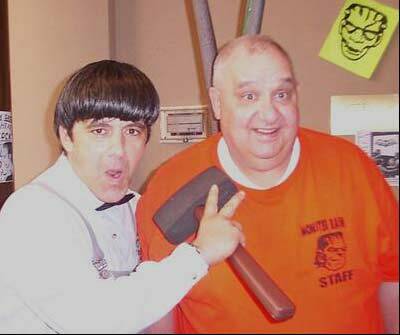 Could it possibly be Moe and Curly at Bash? The Unholy Three! 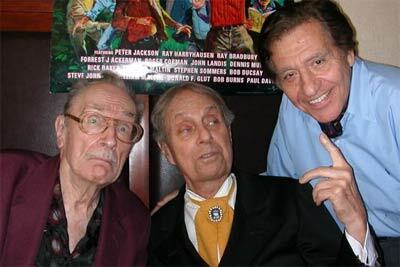 Forrest J Ackerman, Zacherley and Basil Gogos! 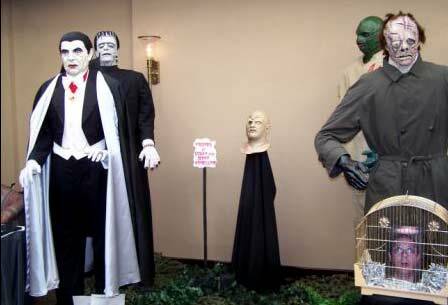 You can't scare the kids. Paisley Adams with Ghoul A Go-Go TV's co-producer Kevin Rice (not to be confused with the grayscale Creigton who appears on the show). 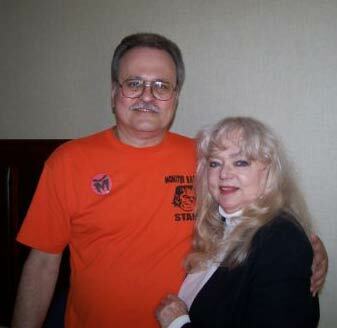 Monster Bash staffer Jerry with the wonderful Yvette Vickers. The Sheaffer family at Bash. 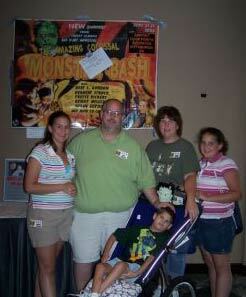 We ran a benefit for Noah (the little boy in the front) to help raise medical funding for medial costs). This is one super family - all of them! 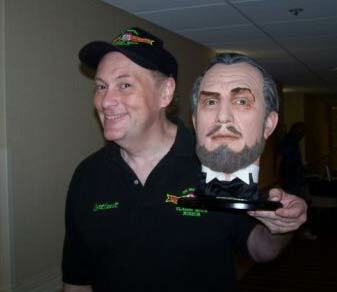 Cortlandt Hull with Vincent Price (Head of the Class) at Monster Bash! 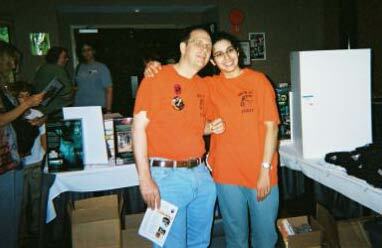 Ron and Ursula Adams at Monster Bash 2006. 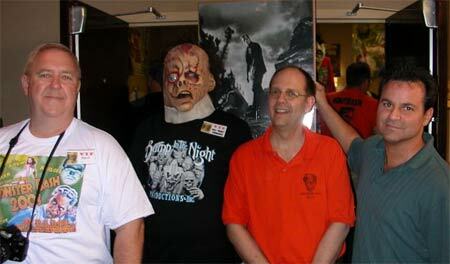 A motley crew at Monster Bash! 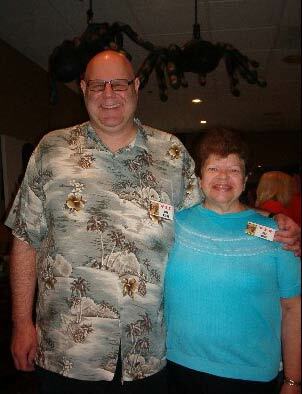 A couple of happy Monster Bashers - comedian Don Reese and Jill Rice. Is that a new toupee for Don, or a giant Tarantula!